Simply Rhino SA is hosting another Rhino User Group meeting in Cape Town. Jon Mirtschin of Geometry Gym Ltd. will present on using Rhino for geometrical modeling, primarily for architecture and structure. Techniques used to model projects such as the 2012 Olympic Velodrome, Infinity Footbridge, and Beijing Watercube will be demonstrated. 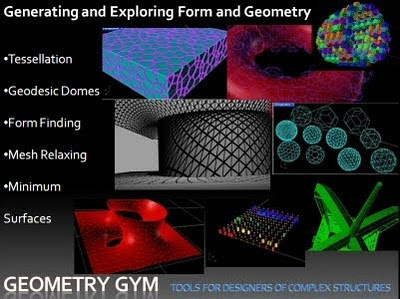 Innovative tools for geometric modeling including geodesic domes, minimal surfaces, mesh relaxing, tessellation and parametric steel frame modeling will also be featured. This two-hour event is a great opportunity to network and share experiences with other local users of Rhino and Rhino related software.